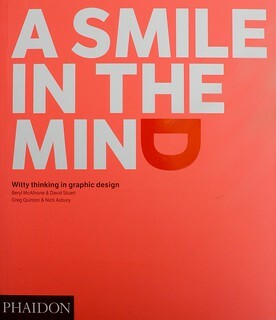 Beryl McAlhone, David Stuart, Greg Quinton and Nick Asbury, A Smile in the Mind (Phaidon, £24.95 / $39.95 / €29.95). 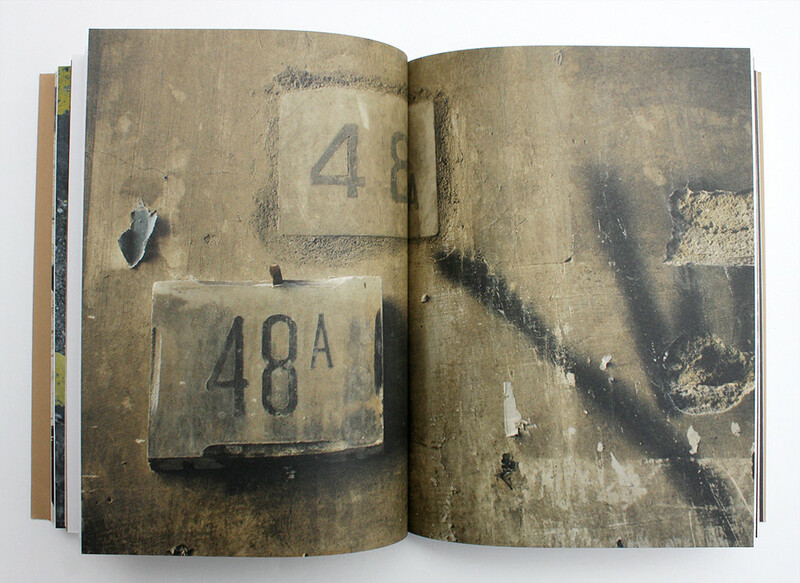 Top: Numbers upon numbers in Naples from Harry Pearce’s Eating With The Eyes. Wit is a matter of taste. 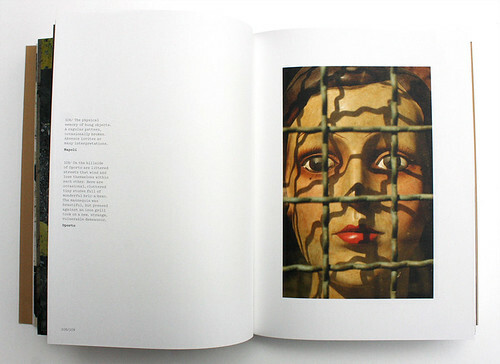 A Smile in the Mind keeps the flavour of the original, adding new jokers such as Noma Bar & Sarah Illenberger. 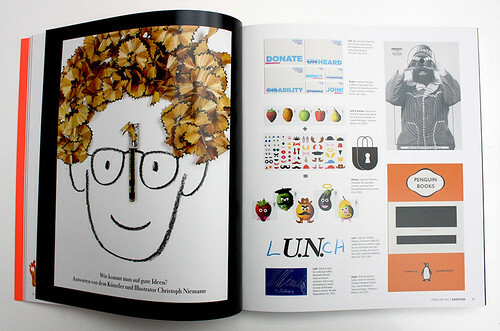 Spread from A Smile in the Mind showing work by Christoph Niemann, Hat-Trick, Anthony Burrill, Johnson Banks, Designframe Incorporated, Bob Gill, Minale Tattersfield and David Pearson / Penguin Books. 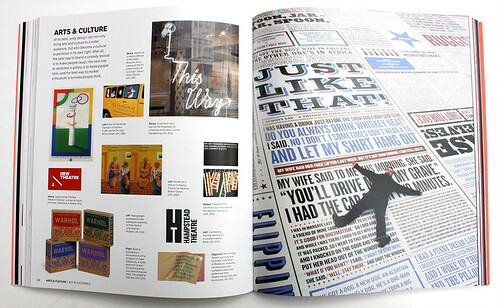 Spread from A Smile in the Mind showing work by Milton Glaser, Sibley / Peteet Design, Alphabetical, Interbrand, Saul Bass, Julia Hasting, Rose, Chermayeff & Geismar and Gordon Young / Why Not Associates. 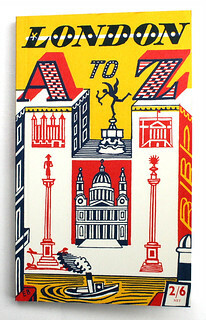 John Metcalf, London A to Z, with illustrations by Edward Bawden and new introduction by Peyton Skipwith (Thames & Hudson, £6.95). The 2016 edition of John Metcalf’s 1953 London A to Z is a simple & insightful guidebook dotted with Edward Bawden’s charming illustrations. 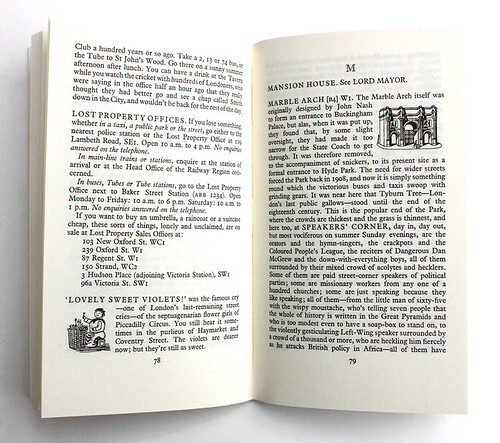 Spread from London A to Z showing guidebook entries for ‘L’ and ‘M’ including ‘Lost Property Offices’, ‘Lovely Sweet Violets!’ and ‘Mansion House’. 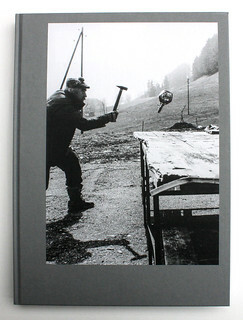 Cover of Jean Tinguely: Torpedo Institut by Olivier Suter, designed by Elektrosmog (Edition Patrick Frey, €60). 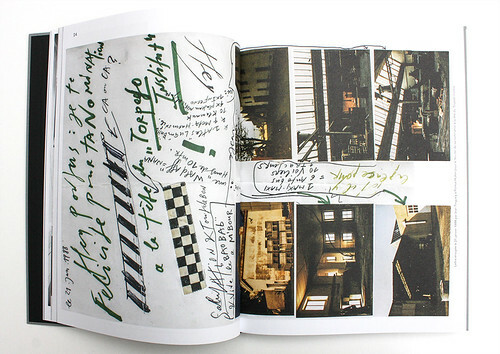 Elektrosmog’s elegantly noisy design pays tribute to Jean Tinguely’s underappreciated Torpedo Institut – the clanging, banging ‘antimusée’. 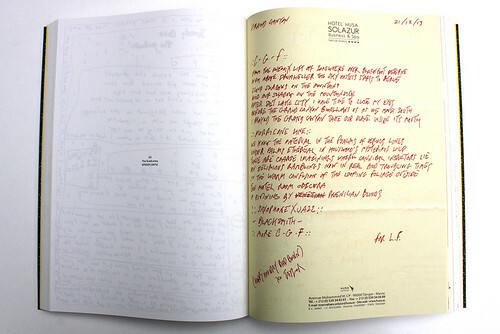 Spread from Jean Tinguely: Torpedo Institut showing a 1988 letter sent by Tinguely to Pontus Hulten to congratulate him on his appointment as the head of the Torpedo Institut. 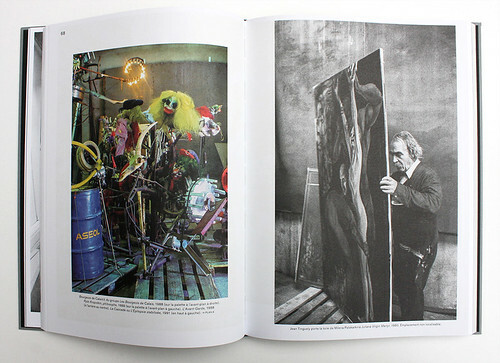 Bourgeois de Calais V, Pjotr Kropotkin, philosophe and L’Avant-Garde, all from 1988 (left); and Jean Tinguely behind Milena Palakarkina’s canvas Juliana Virgin Martyr, 1990 (right). 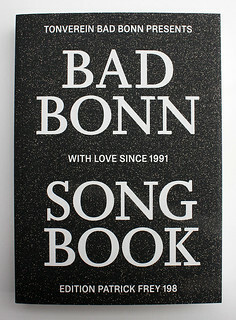 Patrick Boschung, Daniel Fontana, Stefanie Mauron, Adeline Mollard, Katharina Reidy; Bad Bonn Song Book (Edition Patrick Frey, €70). 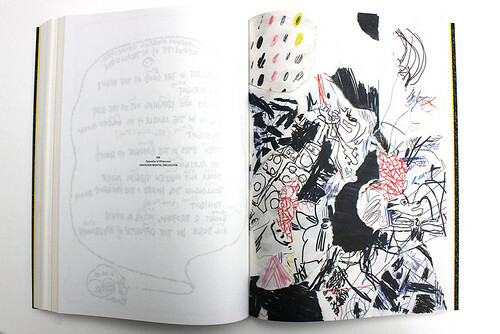 Bad Bonn Song Book memorialises 25 years of music in a 544pp scrapbook of lyrics, notes, scrawls & songs from 23 Years Too Late to Zatter. Unknown Mortal Orchestra, Opposite of Afternoon. 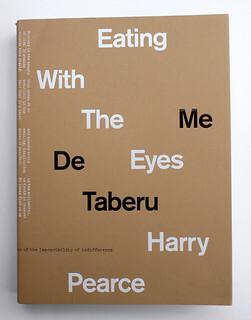 Harry Pearce, Eating With The Eyes (Unit Editions, £39.95), designed by Harry Pearce and Alex Brown (Pentagram). Eating With The Eyes shows Harry Pearce’s abstract, textural photos (from Havana to Lao Tzu), which highlight ‘the innate wonder’ of things. Mannequin against an iron grill in Oporto, Portugal. 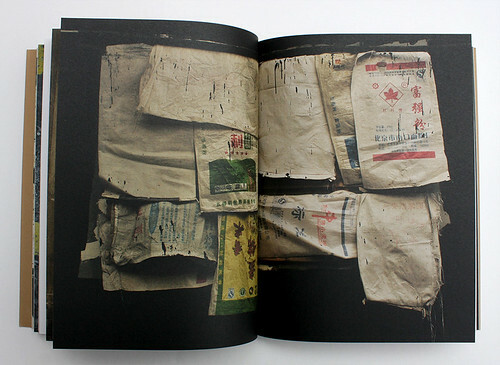 Spread from Eating With The Eyes.